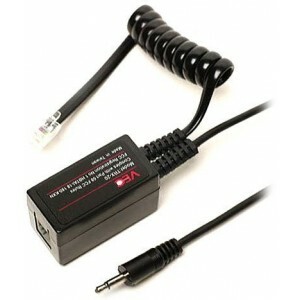 TRX-20-35B Telephone Recording Jack (3.5mm) TRX20 These WILL NOT WORK with CORDLESS PHONES. The TRX-20-35B Telephone Record Unit adapts a recorder to both single or multi-line telephones. Simple and easy to use, this unit connects quickly between your telephone and handset providing crystal clear audio recordings.